Election Results are Out: How Congress Sets a Benchmark in Punjab? The election, a chance given by the people to political parties to rule the nation. Ours is a democratic nation which gives a right to people to choose their ruler.And the election is the time when leaders meet people personally for the sake of their victory. Similarly, Punjab went through the same scenario during Vidhan Sabha Elections 2017 when Shiromani Akali Dal (SAD) after overtaking all the businesses approached people for votes. However, people are wise and considered development a major factor and gave Congress another chance. I being a citizen of rural Urban Punjab, through this article enlightening the reality about SAD and AAP. It was really a sad day for SAD but people made a decision only after seeing the poor performance of SAD. Though SAD has ruled for ten years even then they were failed to win people’s heart. They could not meet expectations of rural Punjab and enforced them to choose Congress. SAD made every effort to raise funds for their party and overtook every single business of Punjab. That’s how Sukhbir Badal was able to develop a seven-star hotel near Chandigarh. SAD was focused on engrossing assets for their family and making it a dynasty rule. They always tried to exploit people through Gurudwara politics and en-cashed the religious sentiments. On the other hand, Aam Admi Party (AAP) or so-called Mango People always tried to play a blame game where Arvind Kejriwal always managed to create a problematic situation. In fact, their name was involved in promoting radicals and seeking their help for ulterior motives. Twenty plus MLA’s found guilty and are facing the trials into their own ruled state. So, the Mr. Clean (projected) is not that clean. And people of Punjab have proved it by making a wise decision in selecting their government. Congress could succeed only because, after ten years, it was the best effort of Captain Amarinder Singh who raised Congress above the dynasty rule and brought his party in power to a thumping majority. However, people of Punjab posed their confidence in a captain than a General. 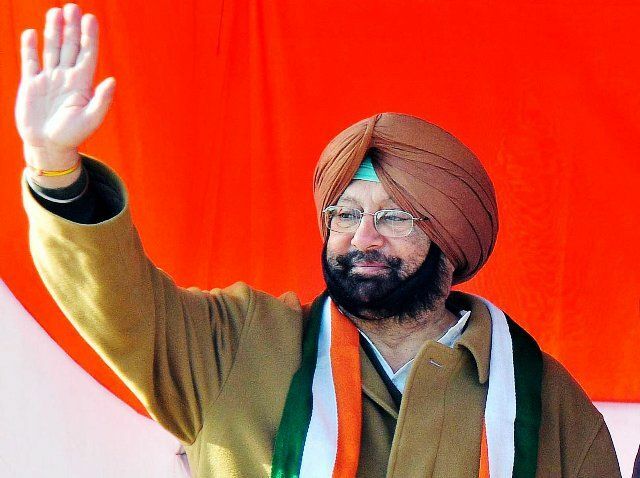 I congratulate Captain Amarinder Singh for his success on his 75th birthday. I wish may Congress utilize this opportunity in the best possible manner and meet people’s expectation according to their manifesto. And make Punjab again a prosperous and healthier state.